Seriously though, shipping pallets are one of the most versatile cast-off items you can get your hands on. You can build just about any piece of furniture with them, assuming you have basic tool knowledge. 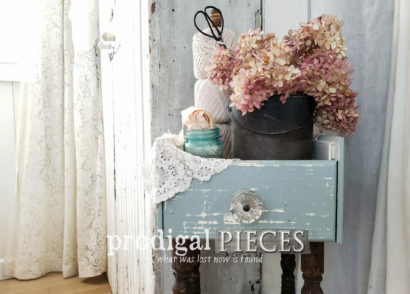 My treasure came via Craigslist, where I was able to acquire some weathered pallets that had an awesome gray patina and ready-made defects, which was just what I was after, for free – yes! When one is desiring to acquire pallets, one must have a truck (aka accomplice). So I called up my mom (owner of said truck) and she happily came over to follow my kids and I on a treasure hunt through two huge piles of wood, pallets included. (Don’t worry, my kids stayed clear of the mess and had fun picking flowers instead). Let me tell you, I not only got pallets, but scored an awesome blue chippy antique ladder, some railroad ties, and a garden trowel. SCORE! I love treasure hunts…sigh. Before jumping into pallet disassembly, I do suggest you read this article about pallets found here. I also have some pallet safety related pins on my Pinterest pinboard found here. Okay, back to said project. It is totally possible to use a hammer, gloves, and safety goggles to do the work of disassembling. I’m sure my neighbors loved seeing me vent on the pallets. It does take a little elbow grease or a happy-to-please husband to dismantle one of these. (note: gift to self was a Sawzall at later point). You can also find an awesome dismantling tutorial here. To get started on building, first you will need the height dimensions of the window you are going to be mounting the shutter next to. I included the trim in my measurement, but you can make it any size you like. My window measured 38″ high. 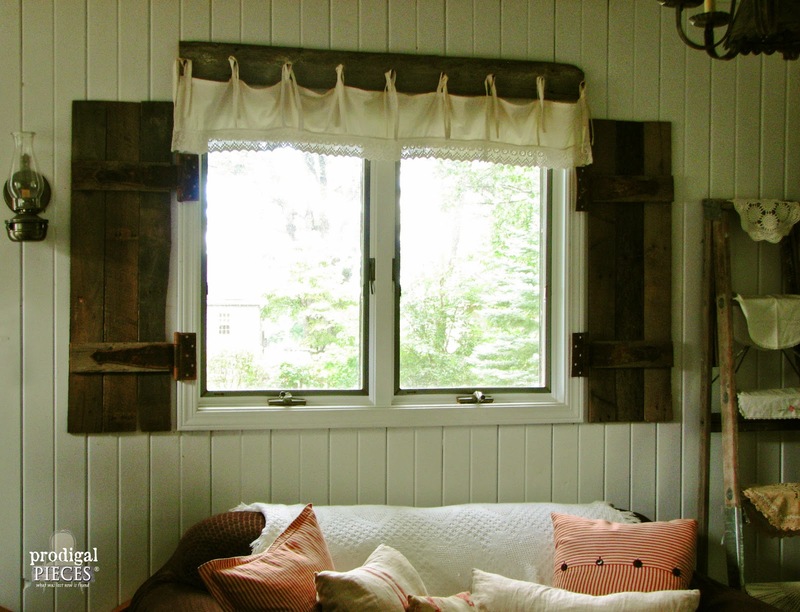 So, I cut three pallet slats 38″ long for ONE side of my window. Don’t forget! 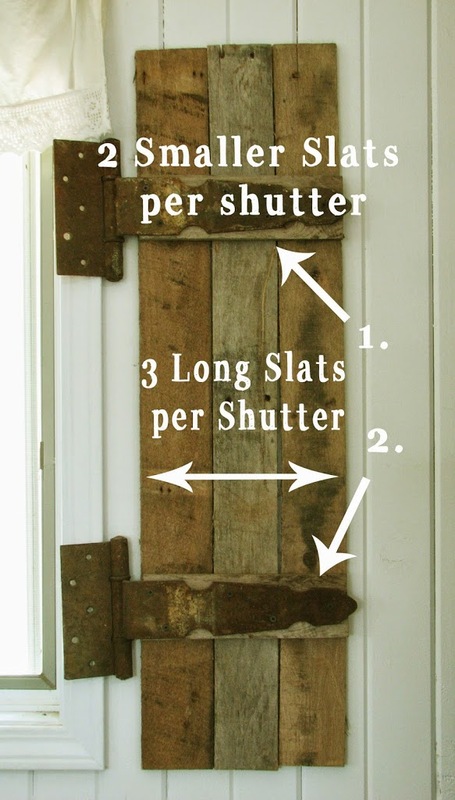 You will need to build two sets of shutters per window, so keep that in mind when counting how many slats to cut. For one window set you would need 6 slats. 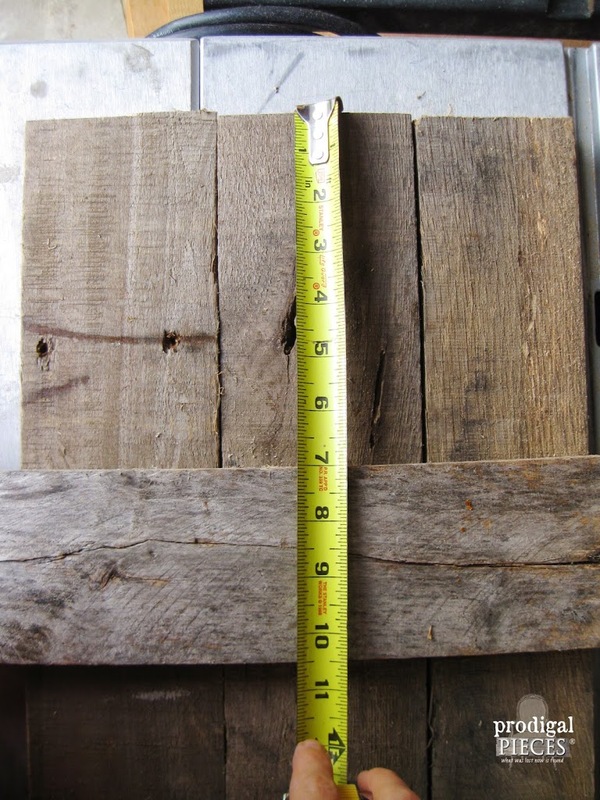 Next, I measured the width of the three pallet slats laying side by side, which gave me 11.25″. Just a note: If you want to build exterior shutters using this same method, add 1/8″ gap between slats to allow them to flex with the temperatures. 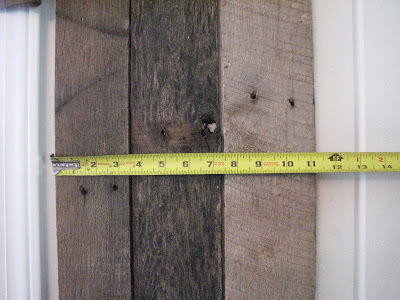 Then, to hold the longer slats together, I cut two small slat pieces per shutter (you would need four of them for a complete window set) measuring 11.25″. These smaller pieces are the crosspieces to hold the shutter together. 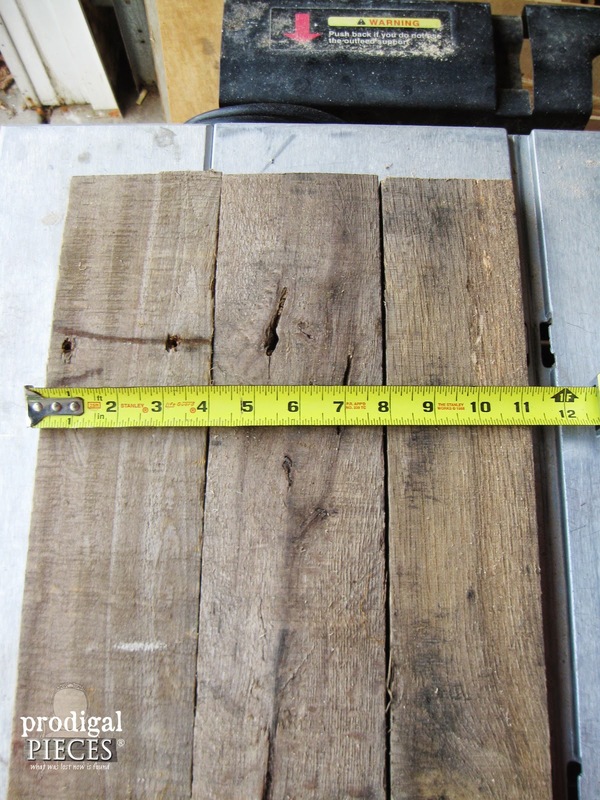 Last, lay the longer three pallet slats on the ground and position the two crosspieces 7″ in from both short ends. Attach them using a zig-zag screw pattern being sure to catch all three slats if you are not using a hinge, otherwise use the holes the hinge provides. I left a couple blank screw spots in my hinge on my shutter so that when I attached my shutters to the wall, I could use a longer screw so there weren’t any extra screw heads showing. note: If you don’t like the fresh cut color showing at the ends of your slats, just mix up some gray and brown paint with a touch of water to create a “wash”, and touch up the ends to make them blend in. Last, mount your shutters to the wall and stand back in awe! If you want to do like I did and rustify (like my new word?) 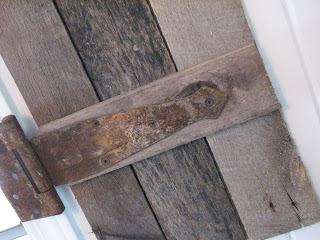 them by adding antique barn hinges, just check ebay. Can you believe I found an entire lot that had just the right number of hinges I needed for less than $20?! God is good! Viola! Not only did I help a local merchant clean up an unsightly pile, but was also able to create a lovely rustic touch to my home The best part was to teach my kids to be resourceful with all that we are given. 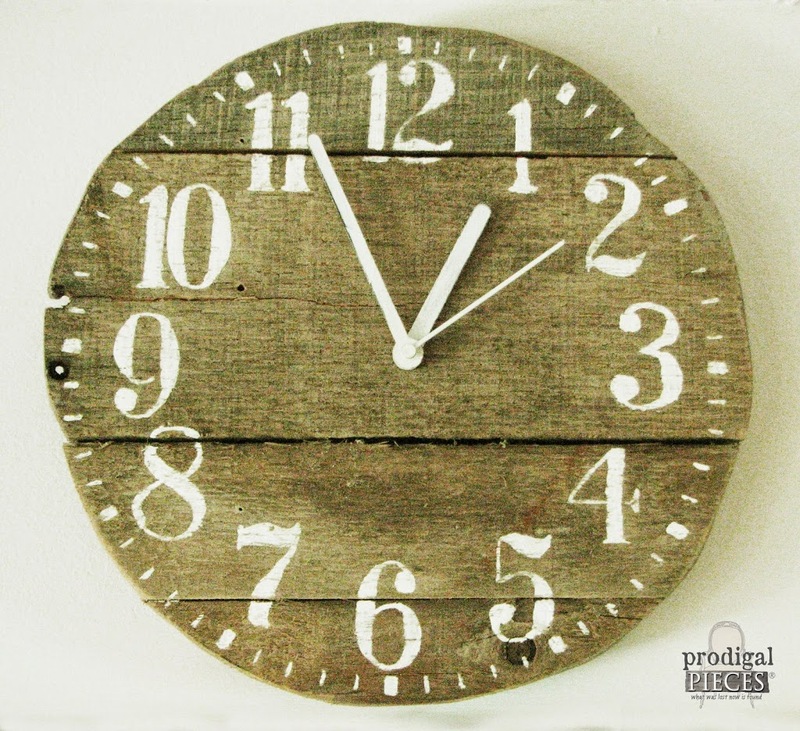 Even today I am still using some of that pallet wood to build more projects, like my table centerpiece, a plate rack, and my rustic clock found here. Want to see how to make the valance too? 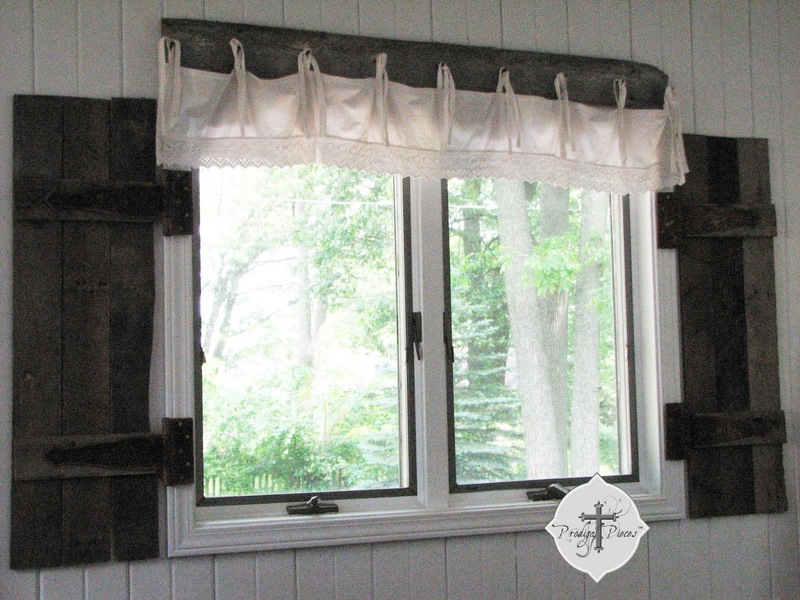 Go to this post: DIY Barn Wood & Bedskirt Valance. In the meantime, I’m using the same idea to make some shutters for the exterior of my home, which are painted and come from newer wood. 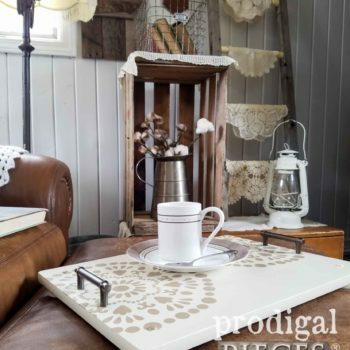 Just think of what you could do with this is a very versatile project. Your shutters are FABULOUS!!! 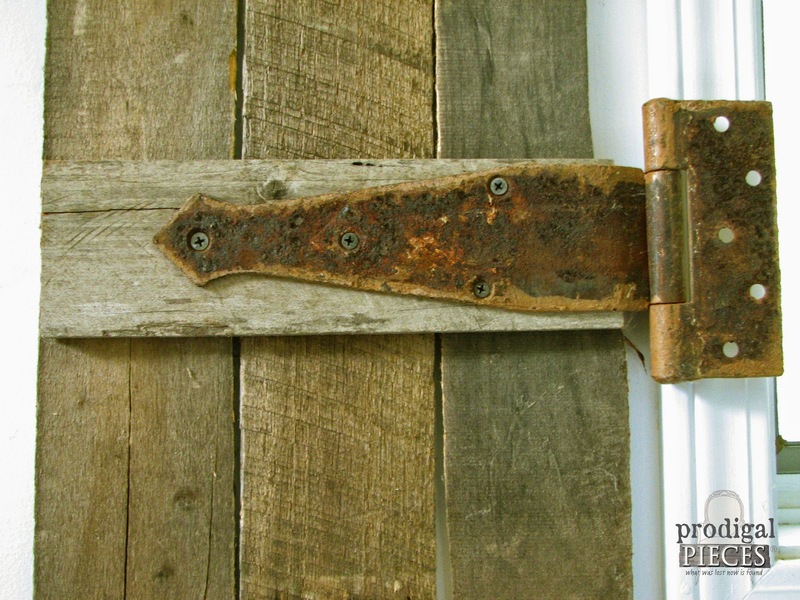 And those rusty iron hinges…Perfect! Love the character the shutters add to the window. Thanks! Absolutely you can share it! I hope it inspires some to give it a try or experiment with their own ideas. You wouldn’t believe how much my kids are picking up just watching me…it’s so great! 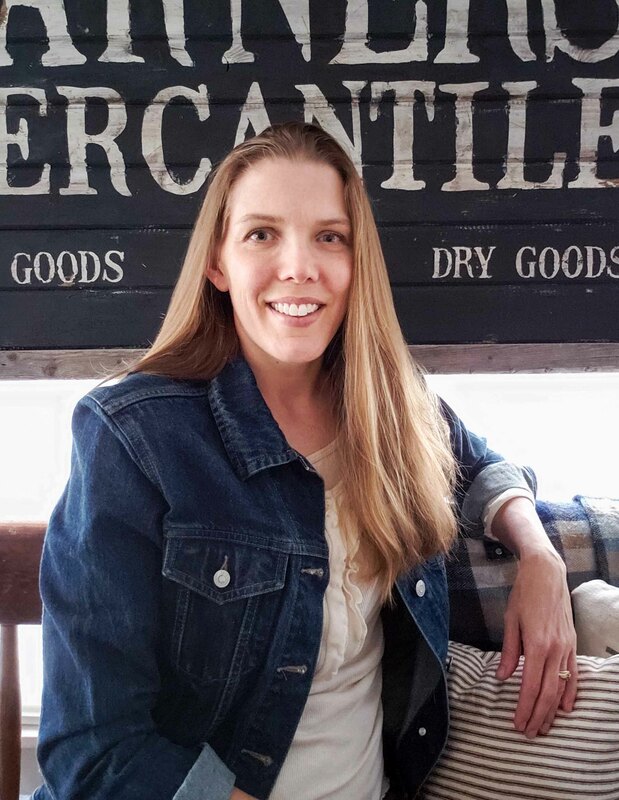 Love those shutters Larissa! Yay! 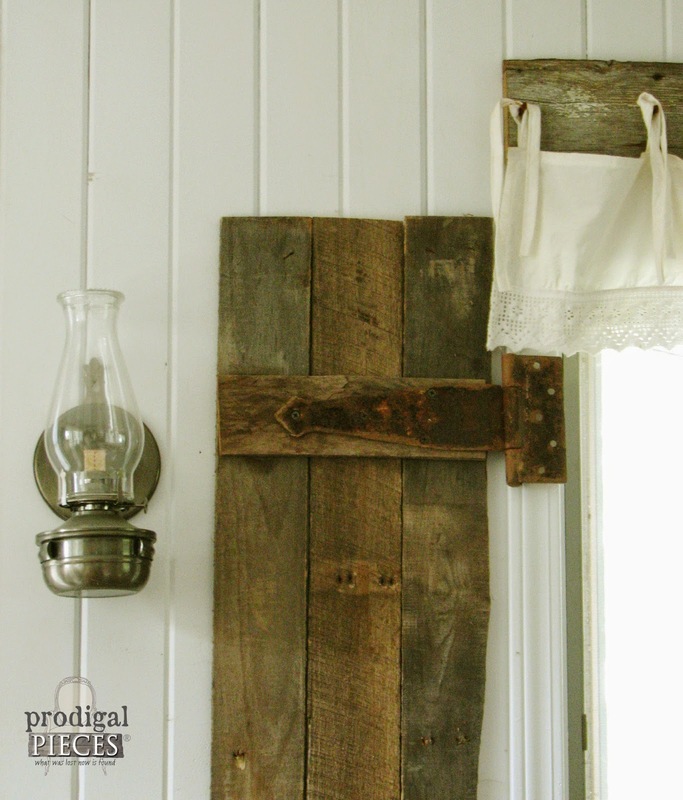 A new use for pallet wood…I have a bunch! These are beautiful, Larissa! Great Job! 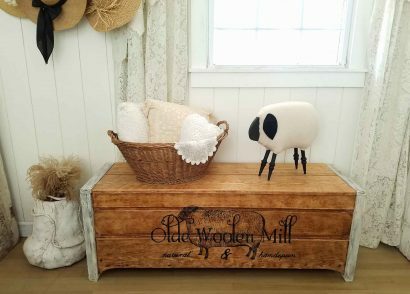 Fabulous pallet project. I love those hinges. 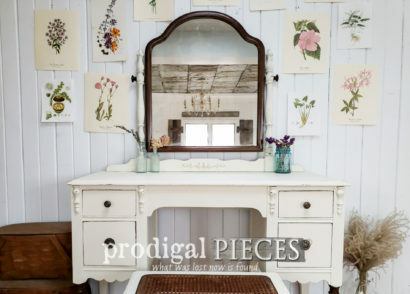 wonderful, and love how you pulled it altogether with board across top for holding curtains. 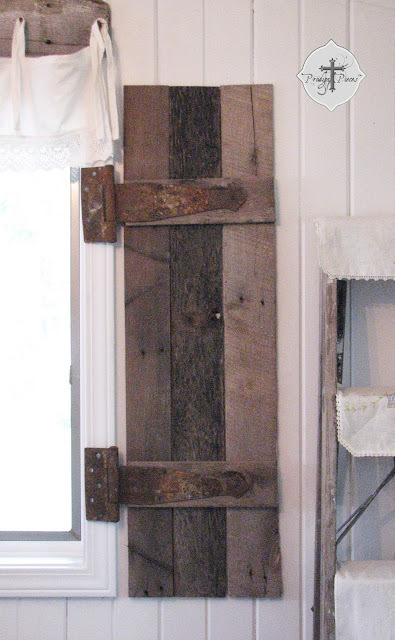 Love the shutters, and the hinges are wonderful! 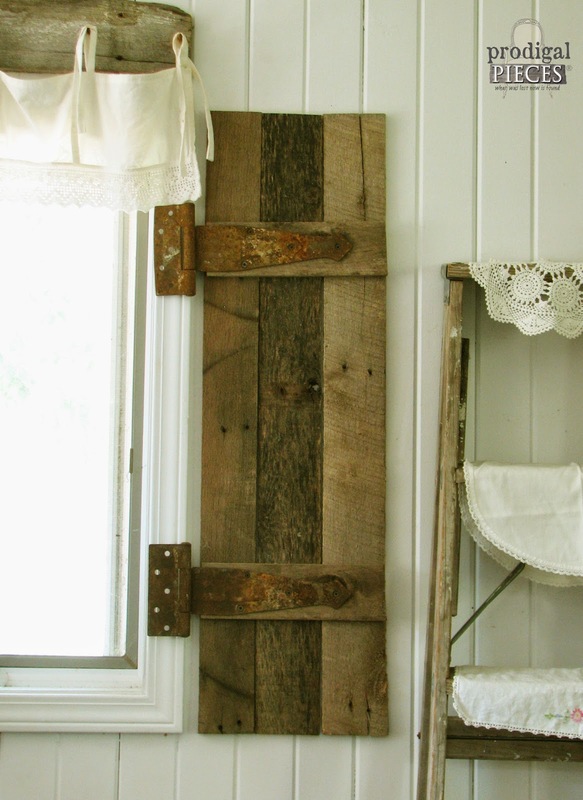 I love the rustic look of your shutters!! They look fabulous! veyr cool. i need to give this a try! happy grey dey! 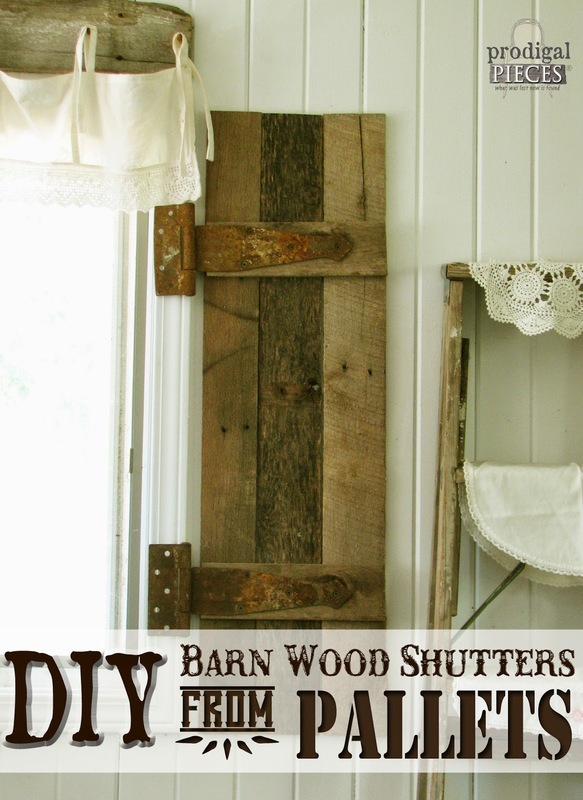 your shutters are wonderful – I take my hat off to you – great DIY skills! Oh I smiled when your 5yr old said she loved ‘rusty’ – like mother/like daughter!! 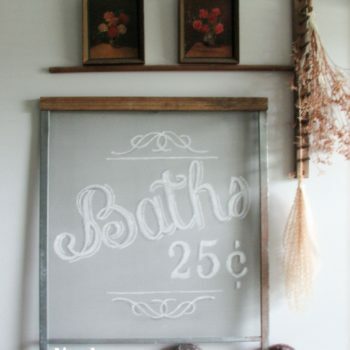 Wooden pallets can be used for so many great projects. Oh little shutters how I love thee, let me count the ways. Or let me pin you so I remember. 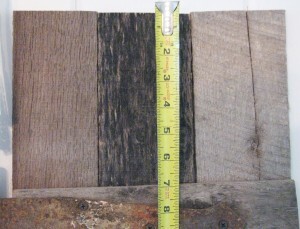 Is pallet wood that long? You said you cut to 38″? What if you need longer shutters like 48 “? Probably a silly question, but do the hinges make the shutters functional as well as beautiful, or are they purely decorative? They are there just for texture and fun. They could be used, but I chose not to.